After years sitting out the entry-level, luxury-sedan game, Jaguar finally has the BMW 3 Series, Mercedes C-Class, Audi A4 and Lexus IS in its sights. 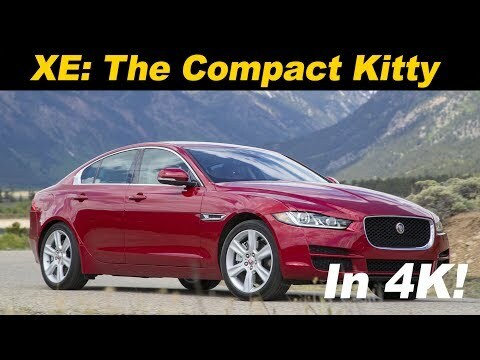 The sophisticated new 2018 Jaguar XE is a real-deal, rear-wheel-drive sports sedan with premium amenities, advanced safety features and a lightweight all-aluminum structure. It's also the newest, smallest and least expensive model in Jag's lineup. My new favorite car and car brand!! I love the body and style of the car!! Drives great runs smoothly. The navigation system is very helpful same with the back seats for my kids. Love how the steering wheel feels. It is alright on gas and drives awesome on a highway cruise control is a great plus. Radio system sounds great. It has a very nice ride and is comfortable. There is a lag during acceleration. When you step on the gas it takes a second or two to move. The performance is worth every thing said about it in the manual. I like the speed, dynamics, style, color, performance. I dislike the gas consumption. 2018 Jaguar XE Review and Road Test | In 4K UHD! Jaguar will notify owners, and dealers will update the vehicle software, free of charge. The recall is expected to begin December 19, 2017. Owners may contact Jaguar customer service at 1-800-452-4827. Jaguar's number for this recall is H056.